You want to know more about Rapunzel Elopes to Hawaii? 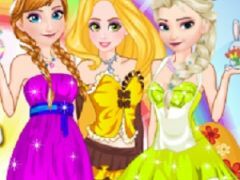 Come and join us within one of the most important day in every girl's life, her wedding day, and today's a big day for gorgeous princess Rapunzel, so, let's play together this newly added game Rapunzel Elopes to Hawaii. Rapunzel and her beloved prince, the one who saved her from being held as hostage in a tower by her stepmother, are getting married today, and they eloped to Hawaii, planning to get married on an island just the two of them, but this doesn't mean that a bride doesn't have to look good. 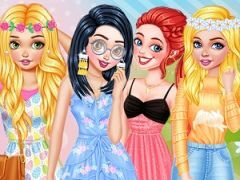 Come and play another amazing makeover and dress up game with princess Rapunzel, Rapunzel Elopes to Hawaii, a game where the first thing you'll get to do will be the bride's makeup, so, let's apply the cutest mascara, blush, lipstick and eyeshadow, then, you'll move on to the hairstyle and dress up part. Make sure that you girls choose one of the most amazing wedding dresses, because Rapunzel's plan is to look as good as she can. 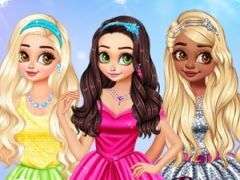 Enjoy playing Rapunzel Elopes to Hawaii, and make sure you girls stay tuned on the site gamesonlinekids.com because we will have many other amazing and interesting games to play! You want to find more about Rapunzel Elopes to Hawaii? The Rapunzel Elopes to Hawaii game has part from Rapunzel Games. 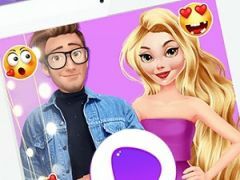 This game is played by 69 times, have 1 votes (1 likes and 0 dislikes) and his added 10 February 2019.